For Sale Ready for Occupancy Modern Townhouse with Solar Panel near in Greenhills, San Juan City, Metro Manila. For Sale Ready for Occupancy 3 Storey Townhouse High End in Sta Mesa, Metro Manila. Lot for sale in Bangkal, Metro Manila near MRT-3 Magallanes. Commercial Lot for sale in Filinvest Alabang, Muntilupa City. For Sale Ready for Occupancy, Condo with free parking, near in Greenhills in San Juan, Metro Manila , Philippines. For Sale industrial lot in Silang Cavite, Philippines. For Sale Luxury Townhouse in Alabang in Daang Hari Laspinas, Metro Manila. Resale Condo 4 BR with Free parking in China Plaza Bldg. Manila. For Sale Affordable Townhouse near in Tagaytay, Silang Cavite Philippines. Ready for occupancy Condo in Tagaytay, Cavite, Philippines. Affordable House & Lot For Sale in Tanauan, Batangas Philippines. For Sale Condo Ready to move in multinational Village , Sucat Paranaque Metro Manila. 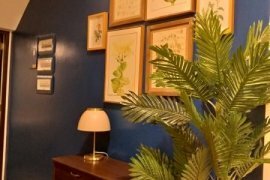 For Sale, RENT TO OWN, Condo in General Trias, Cavite, Philippines. For Sale Ready for occupancy 3 Storey Townhouse in United Paranaque, Metro Manila Philippines. Ready for occupancy, RENT to own condo in Greenhills, San Juan, Metro Manila. For Sale- Prime Commercial space inside of Building. 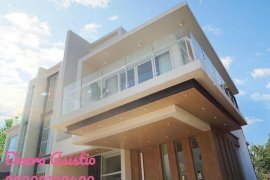 For sale move in ready, 3 Storey spacious Elegant & Modern Townhouse in Manadaluyong City. For Sale 5th Storey Modern Townhouse with Solar Panel near in Greenhills, San Juan City, Metro Manila.